This exhibit at Mystic Seaport is now closed. See the story of the discovery of longitude and this intriguing traveling exhibit in the video above. 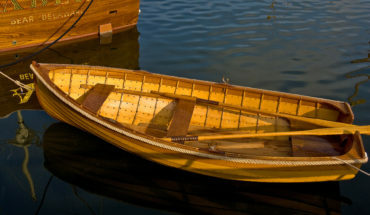 Winter in Connecticut brings snow-covered landscapes, glistening rivers and, a chance to see Mystic Seaport in a new light. With the Museum now open throughout the winter months, it is the perfect destination for a winter day. Cold weather visitors to Mystic Seaport enjoy special seasonal activities and crafts alongside many of their favorite exhibits. The Children’s Museum offers kids 4-7 the chance to play and learn about life at sea in a hands-on environment, while the new Home Port family activity center offers projects and games geared towards children 8-12. 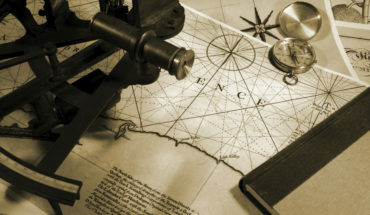 Highlights from the exhibits include “Ships, Clocks & Stars: The Quest for Longitude”, which tells the story of the competitive race to determine longitude at sea and how the problem was eventually solved by ingenious and innovative thinking. This award-winning exhibit is at the Museum through March 28, 2016. “Voyaging in the Wake of the Whalers” walks visitors through the epic history of the whaling industry and the people and economies impacted. Also of interest is the “Journey of Transformation” exhibition, which chronicles, through art, our relationship with whales. On a chilly day, visitors can also climb aboard the 1841 Charles W. Morgan and imagine whitecaps lapping at the hull and how this ship braved stormy seas so many years ago, then warm up with a visit to the Treworgy Planetarium. Special winter programming, includes “Winter Stars and the Mariner” and “Longitude: Proof in the Pacific.” Also during the winter months, warm up inside by the fire at Schaefer’s Spouter Tavern and enjoy casual fare like hearty soups and griddled sandwiches. Truly, an adventure in any season!